"Dr. Geri is a excellent doctor. She is very professional and caring. I have recommended her to many of my friends and family members." "I have already recommended Northwell to other people"
"Dr. Geri DiGiovanna is a professional, courteous, knowledgeable doctor who really listens to your concerns and answers any questions you may have. She is extremely good at putting you at ease and steering you in the right direction when tests indicate the need for further evaluation. I never feel rushed and always leave feeling I received a thorough exam." "I have referred at least 10 people to the practice & approximately 6 changed to Dr. Geri as their doctor." "Dr. Geri listens carefully and always shows concern." "Dr. Geri is very good explaining everything making sure you understand her instructions. " "She was amazing and I have already referred her to a friend!" "I've recommended her to my co worker." "Always took her time explaining - what she do made understand - about next step but never put pressure only suggestion great doctor." "Dr. Geri always makes sure you are comfortable with her instructions and always asks if there are any additional concerns." "Dr. Geri DiGiovanna is a very courteous and professional doctor. She is thorough in her exams and listens attentively to my concerns. She answers all of my questions and never rushes me. I feel comfortable speaking with her and confident in her advice." "Dr. DiGiovanna is the best. She never makes me feel rushed and always gets the job done!" "I have recommended Dr. Geri to others." "As I have only had one visit with this Dr. I still do not really know her very well." "I love Dr. Geri. She is considerate, patient and kind. Every question I ask is never considerate to be stupid...she answers every question"
"Dr. DiGiovanna was the best primary care physician I have ever encountered extremely caring, very knowledgeable, very patient, and she addressed all my concerns." "Nothing special on my first visit. She seemed nice enough but not sure how that means in being "good""
"dr Geri is a great doctor. I highly recommend her all the time and have brought her new patients. she is also listed very highly in Long Island doctors review social media pages by others as well." "Dr. Geri & staff are friendly & great to deal with." "I have been using Dr. Geri since 1994 and find her to be caring, concerned & extremely knowledgeable. I believe she is better than some specialists. " "I already have recommended my DR. to many friends & they now have her as their Doctor." "I"m a new patient here--need more experience with this physician to make a satisfactory judgment." "Geri DiGiovanna DO - always speaks directly to me in a very clear understandable manner." "Dr. Geri is wonderful. I have been seeing her as my primary care physician for many years." "I like her a lot. I am very comfortable with her to talk about anything." "Dr. Geri always makes sure all questions are answered clearly"
"Very caring, great bedside manners, listens to me. explains very well." "She was wonderful so glad that I found her!" "Dr Giovanni never rushed me and listened to all my concerns. I felt like I was her only patient. She is very easy to discuss concerns with, and easy to understand." "Wish all Dr were as good as Dr. Giovanna." "I feel Dr Gerri is very professional & caring! she answers & explains all your questions ! Very satisfied with my care and Dr. Gerri!" "I have and 4 people now see Dr. Geri AND ARE SATISFIED with the OFFICE STAFF TOO." "Dr. Geri has been my caregiver for over twenty years. I have tremendous confidence in her as my care provider. She always gives me plenty of time during my visit and is always willing to listen to any questions or concerns I may have. I would certainly recommend her to any of my relatives or friends." "I have recommended the practice to many friends and business asociates"
"Dr. Geri never rushes through an appointment she's amazing in her treatment of the patient and I am VERY confident in her. I recommended her to 2 new patients and just told someone else about her." 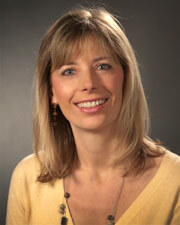 "I'm very confident with having Dr. Geri as my primary health professional." "I have recommended her to my sisters and mother, all of whom see her as their primary care provider now"
"Dr. Geri is a VERY GOOD physician." "I have recommended several people to Dr. Geri's practice." "I have been a patient of Dr. Geri since she started her practice. I am now 86 yrs. old -"
"I am very happy with Northwell Group." "Love her and I have recommended my provider to others"
"She always remember things about our previous visit." "Dr. Geri always makes sure you understand her instructions -- she is always pleasant and helpful and never makes you feel any question is not necessary"
"well rounded and down to earth doctor. felt comfortable." "I would not hesitate to recommend Dr Geri DiGiovanna to anyone." "I would never change Drs . Dr Geri a caring understanding and very professional"
"My regular dr. retired my daughter goes to Dr. Geri, so I change to her." "Dr. Geri is fantastic & so is Susan Lomberdo (the nurse). All staff is wonderful & caring." "Dr. Geri is extremely helpful and understanding -- answers all questions to the fullest"
"I really like this care provider and the attention she gives. for me, it is worth the wait (most days). not everyone would appreciate it." "I really love Dr Geri.."
"I have used Dr Geri for over 22 years it has always been a good relationship"
"I am a new patient as my insurance changed - just getting to know Dr. Geri. 9. New patient." "I have recommended provider to others." "I think Dr. Geri is an excellent doctor." "Dr. Geri is always very professional & courteous. She's extremely knowledgeable & I refer all my friends & co workers to her." "I have been seeing Dr. Geri for over 15 years and would be unable to find another doctor with her ability to help you in any way and make you feel comfortable to ask any question without making you feel you are taking up her time or asking something unnecessary. I have recommended her to several friends over the years." "Dr Geri is so calming and caring. I have referred my sister, mom and husband to her." "Dr. DiGiovanna is a excellent PCP. She is smart, caring and always takes the time to listen to her patients needs." "Very good - Dr. Geri DiGiovanna was the best family I ever had." "Dr. DiGiovanna provided excellent assessment and care. She was pleasant, thorough and caring." "I have recommended Dr. Geri to many of my friends and family who have changed Dr's to her. Her staff as well as caring and competent." "Dr. Geri DiGiovanna is an excellent listener and is always determined to get to the bottom of your medical problem. She never rushes, is always thorough whether it be a routine or diagnostic visit, and handles patients with much courtesy and respect. Her nurse Susan is also great and very efficient in returning phone calls the same day. I never mind waiting a little longer in the office because I know Dr. Geri will spend the time she needs with me and always makes sure all my questions are answered before she leaves the exam room." "I am new to this practice." "most pleased with Dr. Geri"
"Dr. Geri is awesome (& staff too)." "Very caring & knowledgeable doctor." "I am very pleased with the care I receive w/Dr. Geri & have recommended her on many occasions." "Dr. Geri & Ms. Lambado are wonderful & I will refer them w/out doubt." "Dr. Geri is and has been a wonderful doctor." "Been a patient of Dr. Geri's for over 20 yrs." "No problem at all, good service." "Doctor was very thorough, did not rush, and pleasant." "Dr. G is an excellent dr. I have referred 2 persons to her (family members)." "All care providers are excellent!" "I go for B-12 shots or blood tests and are treated with concern & courtesy." "Dr. Geri is a caring, professional dr. who takes the time w/her patients every time!"